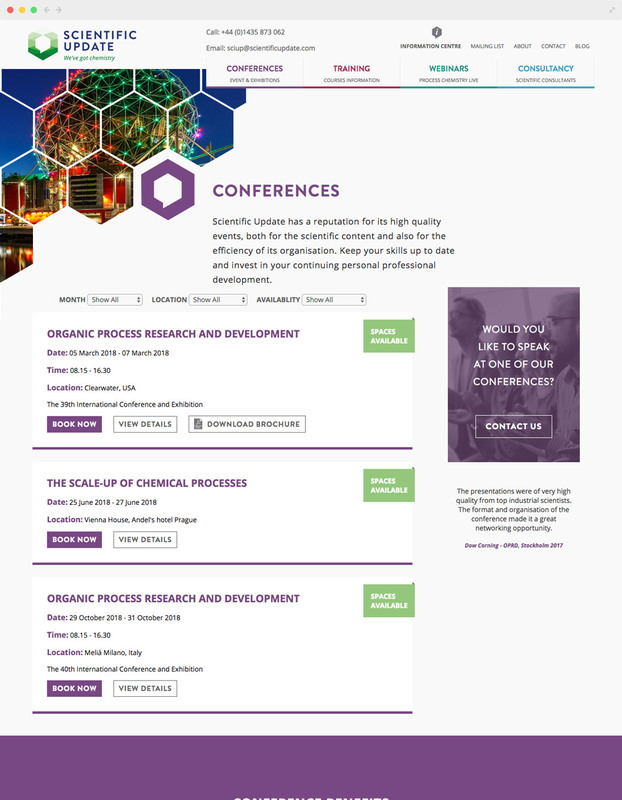 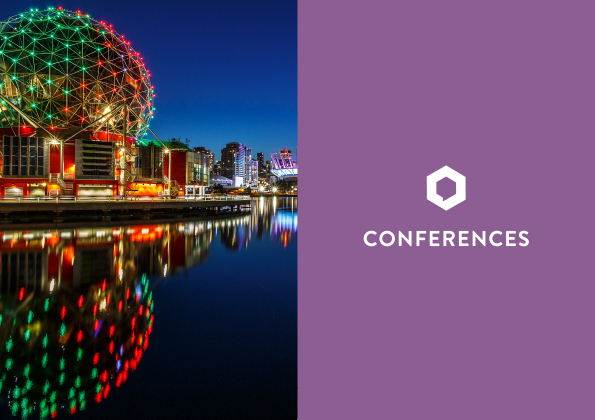 Scientific Update deliver world-class conferences and training courses for industrial chemists and chemical engineers on a global scale. 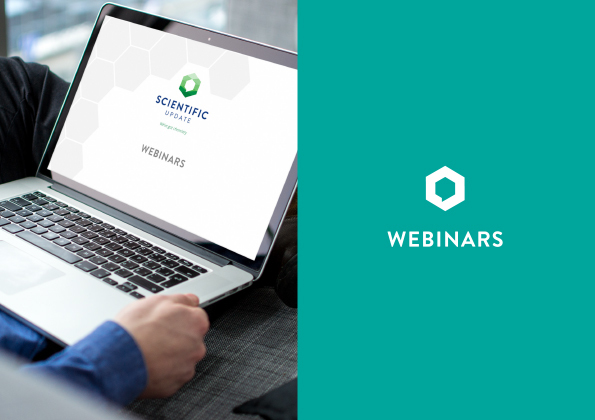 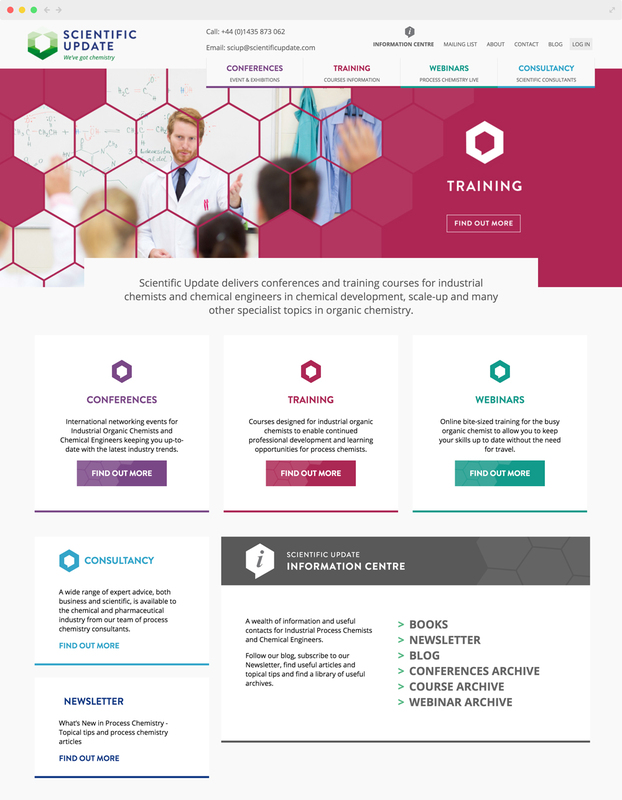 Scientific Update came to us wanting an entire rebrand, starting with updating the logo design, right through to delivering an international e-commerce website. 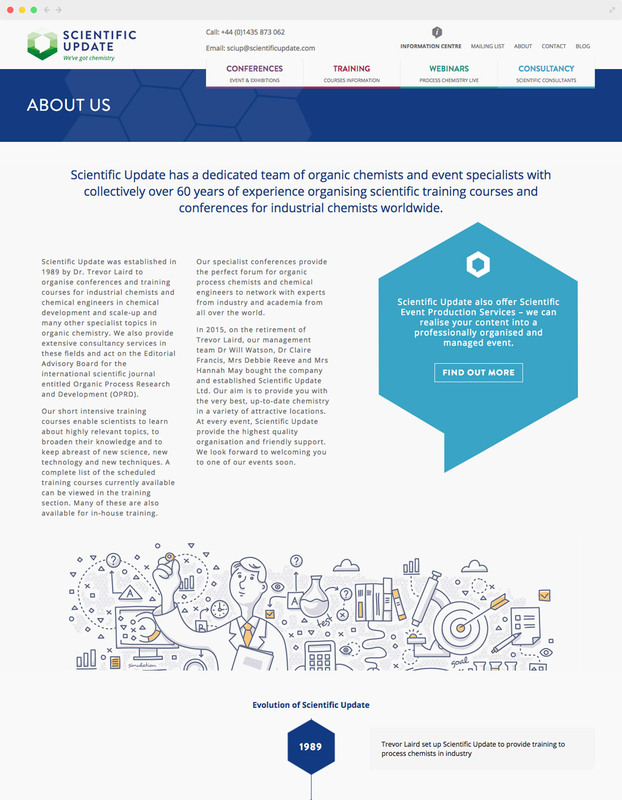 The existing Scientific Update logo used a benzene molecule and the client was keen to retain that element in the new branding. 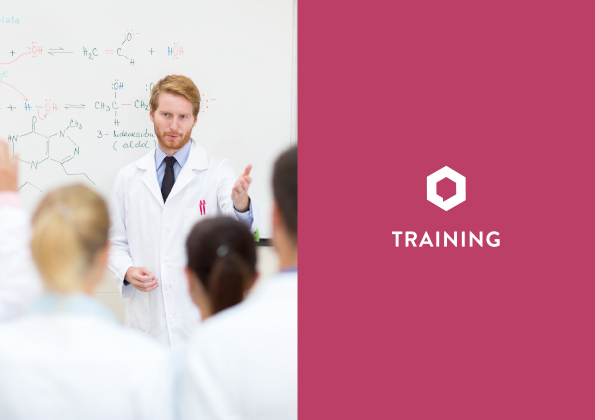 We took the molecule shape and combined it with a speech bubble to bring together the two key elements of the business, science and conferences. 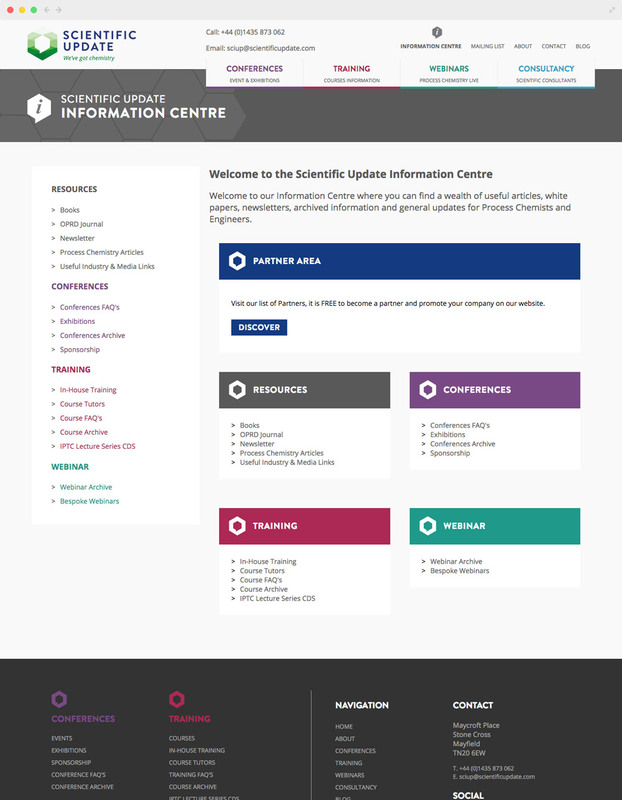 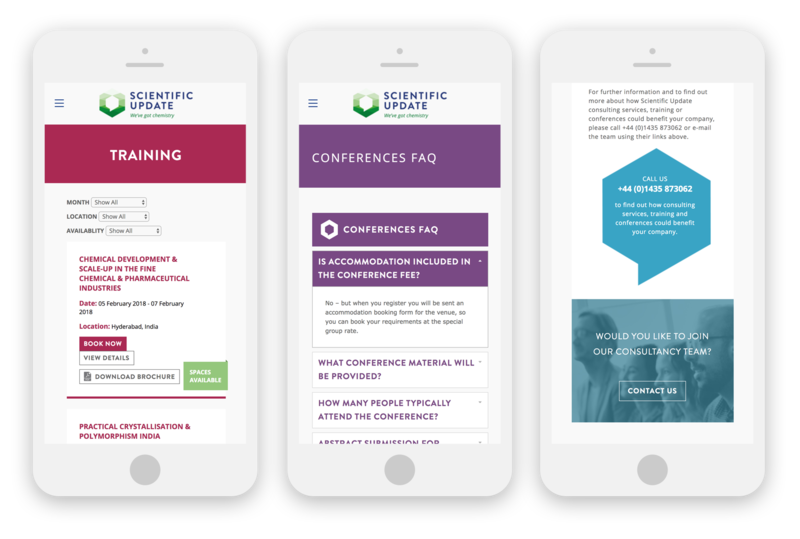 We brought the new Scientific Update brand to life by designing a responsive, mobile-friendly website. 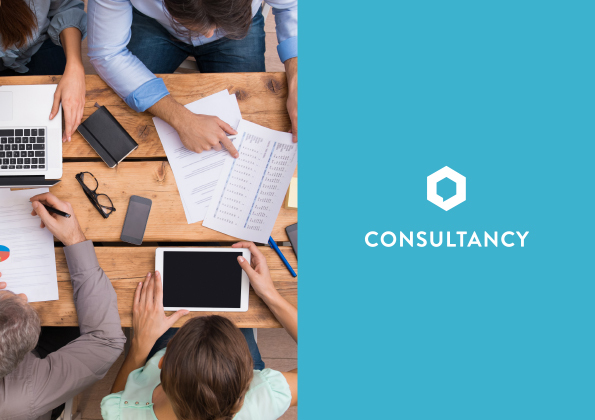 With more and more users browsing on mobile we made sure that the four main areas of business are easy to access on any device.